Discussion in 'Community Support' started by leon_90, Apr 11, 2017.
can we please get an update replay menu screen, in line with the current theme and style of R3E? Current one is still from the old theme, which is obsolete and pretty annoying to see still. I guess they are not working on a new theme until they switch to a new game engine, am I right? We already have the new R3E theme, since an year or so. Old one was discarded but it's still present in the replay page. ah yes, OK, I thought you meant the replay control panel your are right. Also, it's sad that you don't get a dedicated replay of your hotlap. 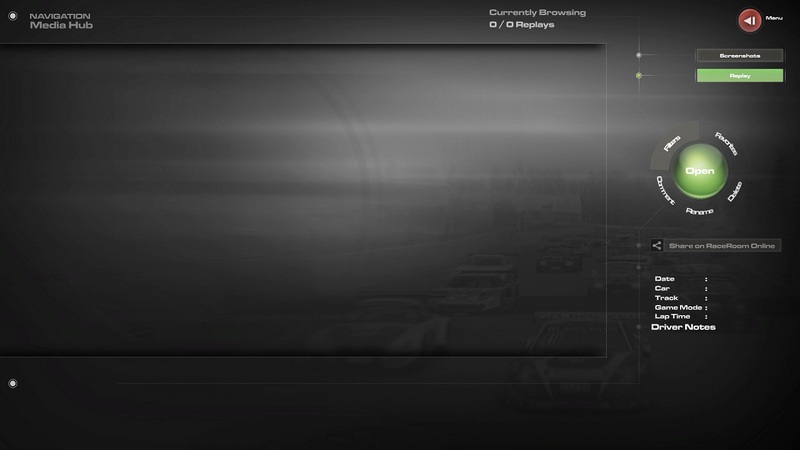 you always have to dig into the replay to find it :-( like in Race 07 and GTR2 you know?